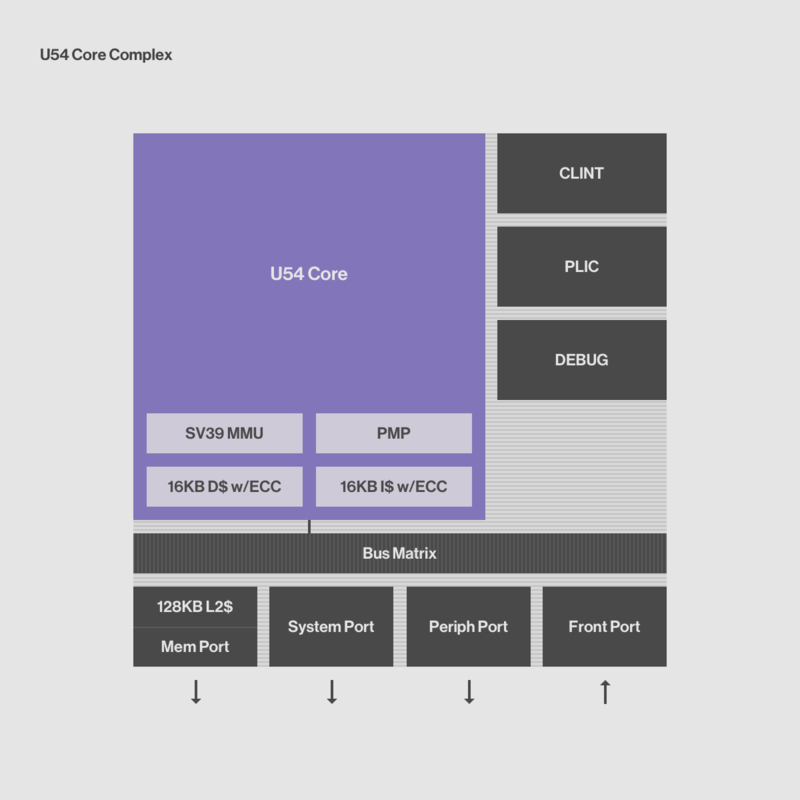 The SiFive U54 Standard Core is a single-core instantiation of the world’s first RISC-V application processor, capable of supporting full-featured operating systems such as Linux. The U54 is ideal for low-cost Linux applications such as IoT nodes and gateways, point-of-sale, and networking. The U5 Series features a RISC‑V Linux-capable application processor that offers high performance with maximum efficiency. The U5 core has a 5-6 stage pipeline and supports virtual memory, enabling 64-bit RISC-V applications. Ready to see your code in action? The U54 Development Kit enables free evaluation of SiFive RISC-V Core IP.